For Hudson, she tells her 3 artists — Noah Mac, Shi’Ann Jones, and Davon Fleming — she knew when she was 7 years old that she was going to be a singer and she was “going to be rich and famous.” What she didn’t know was that she was going to win an Oscar before winning a Grammy. The film Dreamgirls (see link above) was her pivotal moment. 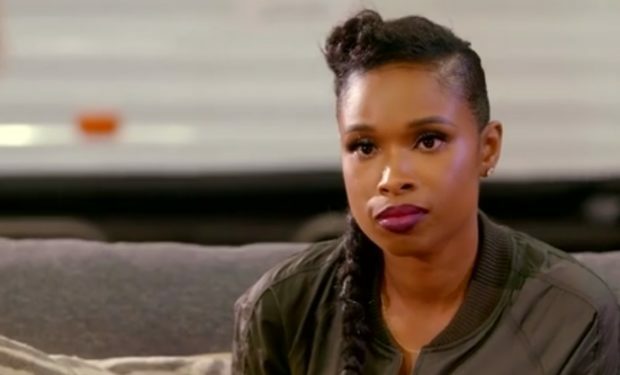 Shi’Ann is the one who asks JHud about her most embarrassing moment. Hudson says it was the time she was on tour and she dropped the mic — and not in a good, top that kind of way. “That’s always been my worst fear,” she admitted. But she kept singing. The Voice airs Mondays and Tuesdays at 8pm on NBC.